Back in 1994, the Softimage|3D product was known as “Creative Environment”. 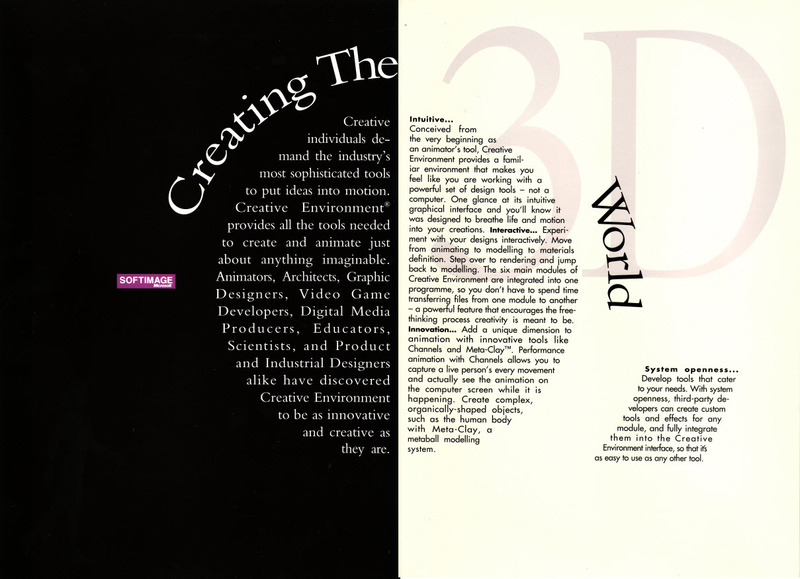 Here’s something from a Creative Environment marketing brochure that was based on the phrase “Creating the 3D World”. Note the big Softimage/little Microsoft logo.